Income tax authorities around the world collect excess tax amounts as a result of requirements pertaining to Advance Tax or Self-Assessment Tax and end up owing tax refunds to its citizens and firms. There are also situations where tax estimates are based on mathematical projections expecting desired profits and incomes but most commercial entities or professionals find that they have made less at the end of the year. Others may make errors in computation of tax liabilities or where tax has been deducted at source, make new investments in the middle of the year, which the employing organization has not taken into account before depositing TDS. The process of claiming a refund has been made much easier by making it mandatory to fill your ITRs online. When you e file your returns, you should be careful to enter correct personal information. Care should also be exercised to mention all your sources of income, expenses and investments allowing you to apply deductions correctly. An earlier post describes how an online income tax refund can be claimed by a salaried individual. Since online filing of ITRs became mandatory, your e returns are your refund claim application. Once approved by your Assessing Officer, the status of your refund claims can be observed on the official Income Tax authority website. Tax refunds could be lying unclaimed for many previous assessment years prior to the above provisions. What happens if you forgot or were otherwise unable to claim a hefty amount of tax refund for a bygone assessment year? Section 239 of the Income Tax Act, 1961, clause 2, says that no claim for refund would be allowed for a previous assessment year except when claimed within a period of 1 year from the day the last assessment year ended. So, ordinarily no claim for refunds would stand in the face of such clarity and similar notifications. However, Section 119 (2)(b) gives the Central Board of Direct Taxes powers to issue general or special orders in respect of any class of cases through its subordinate offices to admit an application for exemption, deduction, refund or other relief even after the expiry of the due date for performing a particular task by the taxpayer. The provision directs that such a step be taken only for the purpose of preventing genuine hardship and if the step is necessary or expedient to expedite the processes of assessment and collection of taxes. The CBDT further clarified this vide Circular no. 09/2015 detailing the procedure to be followed when condoning such a delay in claiming a tax refund. What Time Limit Can I Claim Tax Refunds For? According to current practice, a tax assessee can request a condonation of delay for six years prior to the current assessment year in respect of such refunds. This means, of course, that, in effect, you can claim a refund for the past five years as you would be claiming refunds at the end of the sixth year. If you are claiming a tax refund 2017, for example, you can ask for any refunds on taxes paid after March 31, 2012. Are There Any Conditions to be Fulfilled before Making the Claim? A very important point to note here is that you can claim refunds for previous years only in respect of payments made on account of Advance Tax, Self-Assessment Tax or TDS only. Further, the income on which you ask for refunds should not include the incomes of a group or other association. You also lose claim to interest payments on refunds claimed after the due date for processing reverse payments. When you receive only part of the income tax refund you asked for, you can make further claims for a supplementary refund also. This holds true even when you ask for a condonation of delay. What is the Procedure for Condonation of Delay? The claim for refund of taxes has to be done by filling up Form 30. The claim must be made at most a year after the end of the current fiscal year. Note that the answer to this application rests entirely upon the judgement of the Tax Commissioner and the amount of refund claimed. A properly explained and reasoned request is more likely to elicit a favourable response. It is advised that you take the help of a seasoned tax counsellor or could also look up our online tax help services. 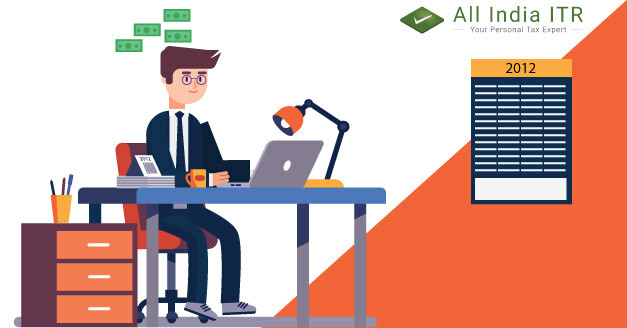 We at AllindiaITR (a product of Corwhite Private Solutions Private Limited) provide personal and commercial tax expert services to help you save on your time and money. Thanks , this really help me alot.This blog is really helpful for us to know more about ITR.It genuinely helped me with the information i was seeking for. This blog contain details in briefly and accurate manner.Great work by ITR team it really nice to explain everything about taxes. It touches each and every corner of tax and its related branches in a neat and aligned manner and most interestingly in simple way.It’s really great that u take initiative to tell people about this and your way of representation of thought is really good.We can understand out problem very easily and get our answers faster. This is the blog that i needed and i have been searching for such blog from a very long time nowbut today finally i found it and that to even in such an easy language which was really easy for me to understand and very easy to learn from it. through for article it clears my all doubt about the unclaimes tax refund and moreover its very easy to uinderstood in a very short time i know all about this and the various methods that how we can now able to claim, like what are the procedures of delaying and what are the time limit that i can claim it thanks all india itr to providing such an amazing article for us.